Apple sales led by the pricey iPhone X pushed quarterly results far beyond Wall Street targets on Tuesday, with subscriptions from App Store, Apple Music, and iCloudservices bolstering business. The world's most valuable technology company also forecast revenue above expectations for the fall, when it typically launches new iPhone models, reassuring a nervous tech sector that saw sell-offs last week in Facebook, Twitter, and Netflix on concerns about their future growth. The Cupertino, California company has responded to a plateauing global smartphone market by launching ever-more expensive phones and diversifying into services, prospering even as rival Samsung Electronics Co missed targets for its flagship Galaxy S9 and China's Huawei Technologies Co took the No. 2 global smartphone sales spot. And a $20 billion (roughly Rs. 1.37 lakh crores) stock buyback in the quarter spurred by sweeping US corporate tax cuts brought Apple's buyback tally this year to a record $43 billion (roughly Rs. 2.94 lakh crores) and exceeded the stock market value of almost three-quarters of the companies in the S&P 500. "The lesson Apple's management has learned from the iPhone X, is when you sell a smartphone for more than $1,000 (roughly Rs. 68,500) you can sell fewer units and still reap the financial benefits," said analyst Thomas Forte from D.A. Davidson & Co.
Shares rose 3.7 percent in extended trade to $197.34 (roughly Rs. 13,500), a record high, putting its market capitalisation at $954 billion (roughly Rs. 65.4 lakh crores). The stock would need to hit $206.49 for Apple to become the first publicly traded US company to cross the $1 trillion threshold, based on Apple's share count at the end of the quarter. Apple may have reduced its share count since then. 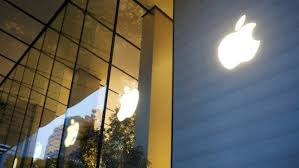 Apple sold 41.3 million iPhones in the fiscal third quarter, half a million less than expected, but the average iPhone selling price topped expectation by $30, hitting $724, according to FactSet. Apple Chief Financial Officer Luca Maestri told Reuters that customers were buying costlier models and the $999 iPhone X was the quarter's best seller. Despite the beat, James Cordwell, an analyst from Atlantic Equities, said the high selling prices might cause investors some concern because "there's a limit to how much Apple can grow the iPhone franchise by pushing pricing." But several of Apple's services do not face strong rivals. Maestri told Reuters that sales from Apple Care, the company's warranty offering, were up 27 percent versus a year ago. Apple's biggest selling products do not yet face duties stemming from the US-China trade disputes, but President Donald Trump has threatened hundreds of billions of further tariffs whose product categories have not yet been enumerated. He credited "wearables", a category which includes wireless earphones and the Apple Watch, with making growing contributions, and the Watch could be hit by tariffs. Maestri told Reuters that Apple could not keep up with demand for AirPods headphones. Services revenue was $9.5 billion, beating analyst expectations of $9.1 billion, according to Thomson Reuters I/B/E/S. The revenue included $236 million from resolving lawsuits such as Apple's long-running dispute with Samsung Electronics Co.
Apple executives emphasised the recurring nature of much of that revenue, saying the company had reached 300 million subscriptions on its devices, a figure that includes both Apple's own services such as music and third-party subscriptions such as Netflix, where Apple takes a cut of the revenue when it handles the billing. Cook said Apple Music has more than 50 million users when free trials are counted and hinted at the company's video content efforts. Apple has hired prominent television executives from Sony Corp and started making deals for content such as a dramatic series with Hollywood stars Reese Witherspoon and Jennifer Aniston. Apple has yet to say how it will distribute those shows or how much it will charge, but Cook said Apple is "thrilled about our pipeline that have some new services in it."